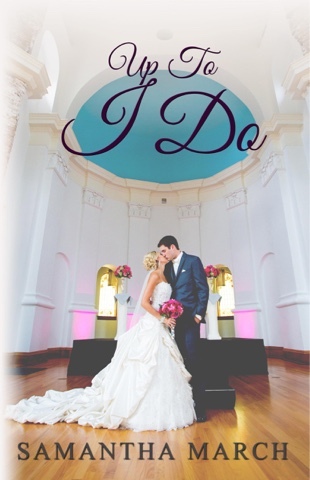 The Up To I Do blog tour stops with me today and I'm delighted to bring you an expert from the book. Thanks to Samantha March for providing me with this and a copy of her book. 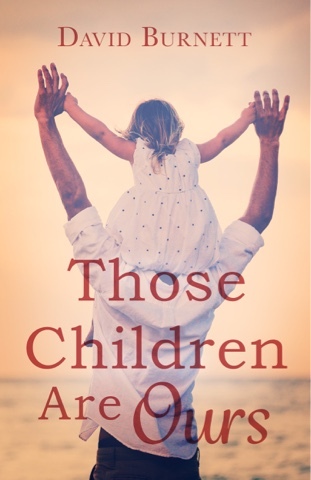 Today I'm hosting a promo post for David Burnett's new book, Those Children Are Ours, which is currently on a blog tour with Brook Cottage Books. Below you will find the book cover, blurb, purchase links, author bio plus a giveaway! But she pressed no claim for her children when her husband divorced her, and she has made no attempt to contact them in any way. Her daughters are now sixteen and fourteen. They live four hundred miles away, and they have busy lives that do not include her, lives that will be totally disrupted by the visitation that Jennie requests. Their father is engaged to be married to a woman who has taken the role of their mother for a decade, and neither child wants anything to do with Jennie. Alexis remembers nothing good about her. Christa recalls nothing at all. As court convenes, Jennie’s past is dredged up− the desertion, the men, her drinking, her mental health − and hauled before the judge. Her claim to be a different person, now, is attacked. When the judge appears to be reluctant to grant Jennie’s request, but seems to feel that she must, her husband’s attorney suggests three trial visits, hoping that they will go so badly that Jennie will come to her senses and drop her petition. Jennie wants to be a part of her children’s lives, but can she convince them to allow her to try? We recently moved to our new home near Charleston, South Carolina. Three of my four books are set in Charleston, and I’ve always enjoyed the Carolina beaches. I now have the opportunity to walk on the beach near our home almost every day and to photography the ocean, the sea birds, and the marshes that I love. I went to school for much longer than I want to admit, and I have degrees in psychology and education. 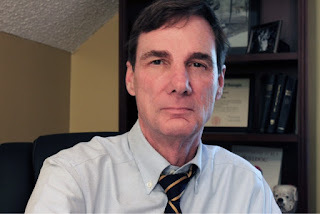 In an “earlier life” I was Director of Research for the South Carolina Department of Education. My wife and I have two daughters and, by the time you read this, four grandchildren. Interview: Debut Author, Daisy James. 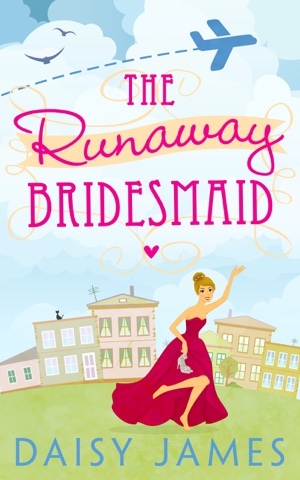 Today is publication day for Daisy James with her debut book, The Runaway Bridesmaid, and I'm honoured to have her on the blog today to answer a few questions to get to know her more. 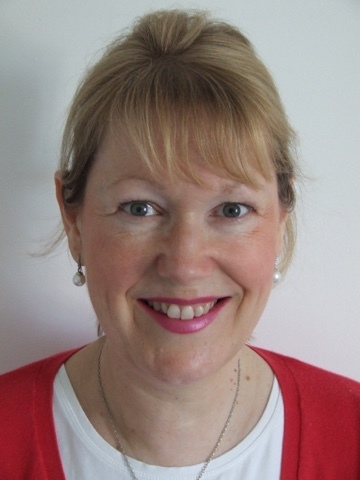 LozzasBookCorner: Daisy, thank you for coming on the blog today, can you tell us a little about yourself to start with please? 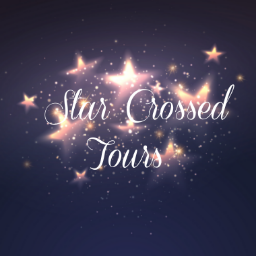 Daisy James: Hi Laura, first of all thanks so much for having me as a guest on your blog. It’s great to be here! I write contemporary romance fiction and have been writing for years. I have several scribbled novels in shoe boxes on top of my wardrobe and one day I just said - right, it’s about time I finished one! LBC: We're glad you did! Have you always had a love for books? Have any Favourite books/authors? What's your earliest memory of reading? DJ: Gosh, yes! I can remember reading way into the night when I was eight or nine under the blankets with one of my dad’s huge torches. I loved all the girlie comics first and then moved on to devour all the Enid Blyton books I could get my hands on, before moving on to Agatha Christie - that kept me occupied for years. Favourite books? Strangely my favourite genre is Travel memoir - for some strange reason I adore reading about people who have lunged into an adventure in another country, their trials and tribulations as they come. to terms with the language, the people, the customs and the property renovations. I’ve just finished ‘Under TheRipening Sun’ by Patricia Atkinson - what a courageous woman to take on a dilapidated vineyard single-handedly. And I loved Sarah MacDonald’s ‘Holy Cow’ set in India. So, The Runaway Bridesmaid is your debut novel, and sounds amazing! Can tell us what it's about? It’s the story of Rosie who squeezes herself into a frothy, flouncy, bubble-gum pink dress, for her spoilt little sister Freya. But minutes before the wedding she discovers her boyfriend with the bride and it’s the icing on the sequinned wedding cake. She packs her bags and flies off to Devon where she swaps her Louboutins for wellies and discovers her Aunt’s ancient recipe book - Bake Yourself Better and decides to experiment, beginning with ‘Strawberry Tarts for Broken Hearts’ moving on to ‘Fig Delights for Passion-filled Nights’. The book includes all the recipes too. LBC: Can't go wrong with some recipes! Where did your inspiration for the book come from then? LBC: Sounds good, minus the hurricane! So we know what the books about and where you got the idea, how did you become about actually writing it? What's your writing process like? Did you plot chapter by chapter? DJ: I’m definitely a plotter. I like to have an idea before I start a book, what the main character’s path will be and where she will end up (and who with). Unfortunately, I also need to write my novel with pen and paper- which takes ages, but I seem to be more creative with the long-hand version than typing straight onto the screen. I love buying stationery - lovely notebooks to write in are piled on my desk for inspiration. Do you have a favourite chapter /part you particularly enjoyed writing? DJ: I’m so glad you asked this! Yes! Yes! Yes! I adore baking - cupcakes, biscuits, scones, flapjacks, rock buns, chocolate brownies, shortbread….well, I’m sure you get the idea. There are recipes (with a twist) throughout the novel which I’ve triple-tested and my family have taste-tested - much to their delight! Characters always fascinate me, how did you come up with yours and their names? Are you like any of them? DJ: Rosie just came to me fully formed. I love her and her quirkiness. But you’ve hit a button with the question on names - I really spend lots of time coming up with the names. I just don’t seem to get them right first time and even when I’m happy with the first names there’s their surnames to think of, aghhh. One novel I wrote - well, it wasn’t until the end that I realised all the names either rhymed or started with the same first letter. I’ve even asked for Facebook Friends to submit ideas for characters to help out. LBC: Rhyming names could be interesting! So if you were locked in a room for 24 hours with one of the characters, who would you pick and why?! DJ: Gosh, I think anyone who reads The Runaway Bridesmaid will pick the same as me! Charlie! He’s my idea of a fun date. He has dark tumbling curls and a quirky sense of humour. I’d love to hear what your blog readers think! Paper/hardback or Kindle? All 3 - it's the content that counts! Summer or winter? Summer - I'm definitely a sunshine girl, my birthday is July so that may have something to do with it, plus I prefer sandals to boots! Birthdays or Christmas? Ooh can't I have both?! I love celebrations, any excuse will do - because they usually involve cake!! LBC: Daisy, Thank you again for joining me today and answering the questions. Before you go, please tell us how can readers read your book and stay in touch with you? DJ: Thanks so much for having me, Laura. I’d love to hear if any of your readers have tried out Rosie’s recipes - and any photos would be awesome. 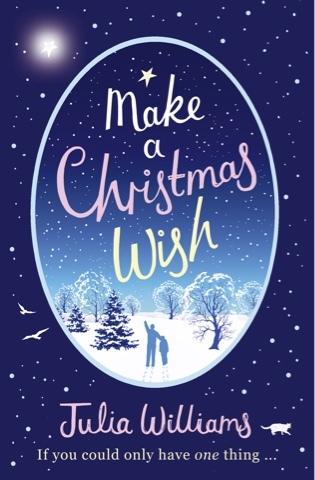 I'm pleased to be helping HarperCollins with this gorgeous and festive cover reveal this evening... It's just so beautifully Christmassy! Perfect for fans of CAROLE MATTHEWS, TRISHA ASHLEY and JENNY COLGAN. Julia has always made up stories in her head, and until recently she thought everyone else did too. She grew up in London, one of eight children, including a twin sister. She married Dave, a dentist, in 1989, and they have four daughters. After the birth of the second Julia decided to try her hand at writing. Since then she has written 8 hugely popular novels, selling over a quarter of a million copies in the UK alone, and hitting the Sunday Times bestseller list. Grace has always been best friends with Ella and Flick. The late-night chats, shared heartaches and good times have created a bond that has stood the test of time. When Ella invites them to stay for a week in her cottage in South Wales, Grace jumps at the chance to see her old friends. She also hopes that the change of scenery will help her reconnect with her distant husband. Then Flick arrives; lovable, bubbly, incorrigible Flick, accompanied by the handsome and charming Noah. This is going to be one week that will change all their lives forever…..
Having not read any books by Carole Matthews before I didn’t know what to expect. However, I was not disappointed with this book. This book follows the story of three best friends named Grace, Ella and Flick but when they all stay in a cottage together for a week, things change. They all want to do different things and by the end of the book, their lives are very different. Throughout this book you are left guessing about what may happen next and what event could occur between the three best friends again. I was gripped when I was reading this book and I never wanted to put it down. The way that you experience the things that they do together and learn about each romance is what makes the book seem so real. It is just as if it is a real story and that it is experienced by you because it seems so life like. 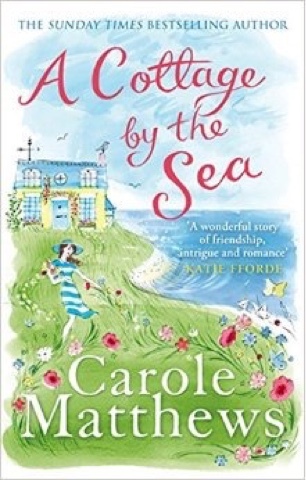 I will be looking out for more books by Carole Matthews and I would highly recommend this one if you are after a holiday read or something to get your head into. 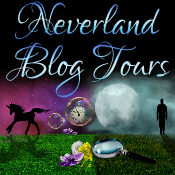 Today I'm kicking off the Rainy Day Sisters blog tour hosted by Neverland Blog Tours. I would like to thank both Jenny from there and the author, Kate Hewitt for a review copy of the book in return for my honest opinion. 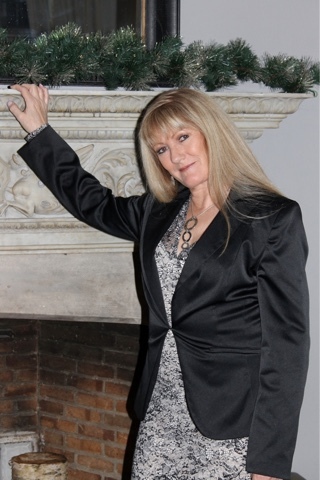 Kate Hewitt is the author of over 40 novels of women’s fiction and romance. She loves telling an emotional story in a variety of genres, and has been nominated for the Romance Writers of America RITA Award twice. An American ex-pat, she lives in the Cotswolds of England with her husband, five children, and an overly affectionate Golden Retriever. Since becoming a reviewer and blogger I've avoided books which are impart of a series, purely due to the fact that with an ever growing TBR list, I can't guarantee that I will be able to read the following books, and I just have to know what happened. So when I saw that Rainy Day Sisters was touring I "umm'd" and "ahh'd" over it for all of 30 seconds - just look at that beautiful, intriguing book cover that gives absolutely nothing away, yet makes perfect sense right from the start of the novel. 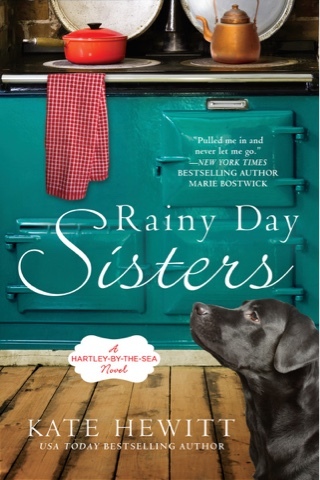 Rainy Day Sisters is a Hartley-By-The-Sea novel, the first in the series and is set a quaint little village in the Lake District. It tales the tale of two sisters, bound together purely by the fact they have the same mother and is set over a four month time scale. The book is split into chapters giving the story from the prospective of the two girls in turn, although narrated from the third person. Although at times I found the story a little predictable, it's a romance after all, the book flowed and and the pages kept turning, in fact I devoured the story in one sitting all bar my tea breaks!! Lucy - is the younger of the two sisters and arrives at Juliets door from Boston after her life falls apart. Her, their, mother is a well known artist and has embarrassed Lucy in the most public and humiliating of ways. That thrown in with her losing her job and her relationship falling apart she escapes to the wet, cold and windy Cumbrian village. Lucy is incredibly naive at some of the things that happen and as a reader you could just see how the out come was going to be. She's also crazy, live and bubbly and surprises her self when she gets a new, albeit temporary job at the local primary school, and starts to form new friendships. Over the course of the four months that she is there she also forms a strong bond with Alex, the head teacher. Alex has his own problems, a widower with two young daughters... Bella, a preteen with attitude and facing bullies at school, and 6 year old Poppy who you just couldn't help but fall for with her cute ways. Lucy has a tendency to fall head first and it's no different with Alex but as she's only there for a few months they keep their distance. Juliet is the older sibling and is as tough as they come... On the outside. Lucy and their mother left her for Boston when she was at university and they've barely seen each other since, not that Juliet and her mother had a loving relationship to start with. Juliet resents Lucy and when she arrives at her door she regrets agreeing her to come and stay instantly. She hasn't got the time for Lucy and her sob story, after all, she feels if it wasn't for Lucy hen she and her mum may have a relationship. Juliet has her own troubles. She's lonely, clear as day lonely even though she lives in a small village where everyone knows everything about each other, but deep down she's hurt and heartbroken. She appears cold hearted due to rejection from her mother, not the only one to make her feel like that... She was also left to fend for herself when dealing with an ectopic pregnancy - I've been through this myself and know just how hard it is - and is now desperate for a child, someone she hopes will love her and need her. Juliet appears to have only two real friends in the village, her neighbour Peter who had a thing for her but she's in denial about, and her cleaner Rachel. Rainy Day Sisters brings Juliet and Lucy together but it's not a easy ride. Whilst Lucy just wants her sister to open up to her, Juliet can't help but find flaws in Lucy. I loved reading this book, I've family in Cumbria and felt quite nostalgic reading about the weather, the sheep and village life as well as enjoying a good romantic story, well written with ups and downs. The characters were easy to get to know and I'm hoping that the next book in the Hartley-By-The-Sea series picks up where it's left off as I'd love to know how Juliet and Lucy move forward as sisters plus how they are moving on with Peter and Alex respectively. Today is my stop on the blog tour by Chick Lit Plus for Wake Up Call, the new book from Amy Avanzino. I would like to thank CLP and Amy for a review copy in return for my honest opinion. Sarah Winslow wakes up with a terrible hangover…and a kid in her boyfriend’s bed. She makes the horrifying discovery that, due to a head injury, it’s not a hangover. She’s got memory loss. Overnight, five years have disappeared, and she’s no longer the hard-living, fast-track, ad executive party girl she thinks she is. Now, she’s the unemployed, pudgy, married, stay-at-home-mom of three kids under five, including twins. As she slowly pieces together the mystery of how her dreams and aspirations could have disintegrated so completely in five short years, she finds herself utterly failing to manage this life she can’t imagine choosing. When Sarah meets the man of her dreams, she realizes she’s got to make a choice: Does she follow her bliss and “do-over” her life? Or does the Sarah she’s forgotten hold the answers to how she got here…and how she can stay? and a Master's from the University of Washington. She is a former advertising executive, who has spent the last several years writing, while doing extensive hands-on research for her Wake-Up Call series. 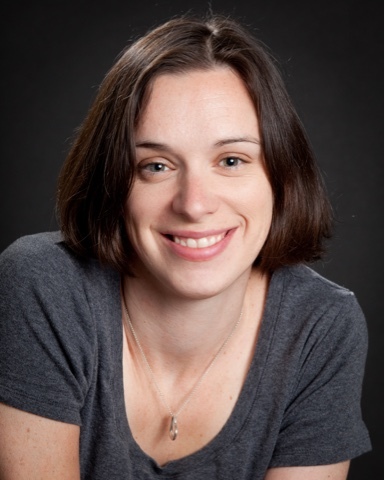 She’s a contributing writer of Hap Scotch, a play performed at the 2008 Frigid Festival in New York, which won two Audience Choice Awards. 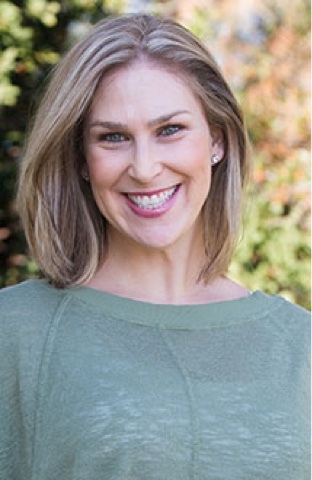 Amy currently lives in Folsom, California, with her husband and four children. 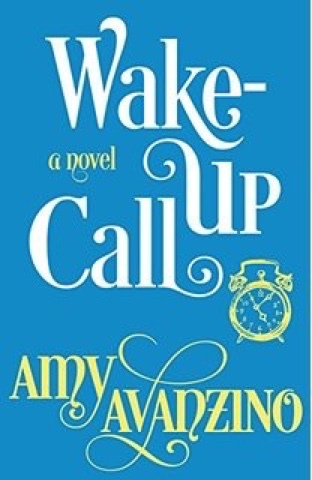 Amy Avanzino has a big future in the author/book/writing industry if all her books are as good as Wake Up Call! The book starts with the main character, Sarah, waking with one killer hangover in her boyfriends bed. There is a noise that she's unable to make out and she just wants to go home. Scrambling to the door her boyfriend Kofi stops her in her tracks. We quickly discover that Kofi is not her boyfriend but her husband and that noise is coming from a kid in his bed... A kid that Sarah bore into the world... A kid that is actually one of three... Clear to say, Sarah freaked at this point!! A trip to the medical centre and Sarah is diagnosed with amnesia - a result of her falling of her child's skateboard and bumping her head the night before. Erased is the last five years of her life... Sarah knows nothing of her life as it is. She doesn't know how to care for the children, how to be a wife, clean the house, change nappies, cook a family meal or even go to the park with mums in the neighbourhood - a neighbourhood she also doesn't recall moving too. Everything is new and nothing is familiar for Sarah. All that she knows is five years before where she was a career woman, ordering skinny lattes and having happy hours with her three girl friends. She wants to go back to that life and starts by contacting the girls,but it's clear from the phone calls that their lives aren't as Sarah knows. Meanwhile she bumps into Troy at one of her hospital appointments, and enjoys the flirt and company with him, telling herself even more so that life with Kofi and the kids just isn't hers. When Sarah jeopardises Kofi's work prospects and almost sleeps with Troy she starts to feel guilty, and as much as she is unfamiliar with her children, there's something there.. Pulling at her heart strings. Although her memory is still absent, Sarah vows to try harder and re-connects with her neighbours and new friends and slowly she begins to get into a routine of life as the new her. The book was fabulously written, with laugh out loud moments of humour at some of Sarah's mishaps and feelings at her "new" life, yet there was sensitivity at the issue of amnesia, and it really made you think about your own life and not to take things for granted as a simple accident could have lasting results... I can't imagine how people cope when they can't remember anything from their "normal day". I believe that Wake Up Call is the first book of a series so I'm looking forward to rejoining Sarah and her new life to see what happens next! 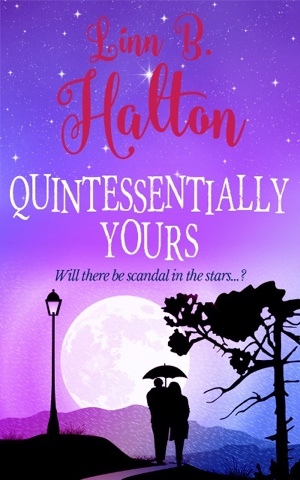 Today is my stop on the blog tour for Quintessentially Yours, the new book from Linn B Halton. I would like to thank Brook Cottage Books for supplying a review copy of the book in return for the blog post and honest review. Katherine Dale lives her life according to her daily horoscope forecast. Having recently hit forty, Katherine is living with her partner, James Kingman, and their delightful little six-month-old daughter, Leyla. James is an up-and-coming name in astrology and that’s how they met. At a party to celebrate the publication of Katherine’s first novel, James was about to propose when Katherine announced the news that she was expecting a baby. ‘Ask me later, when I can fit into my dream dress’ she’d told him. Wind forward thirteen months and while there is an engagement ring on Katherine’s finger, James still can’t mention the ‘m’ word. Leyla suffers from colic and won’t settle into any semblance of a routine. The lack of sleep is taking its toll on them all. James is at his wits’ end trying to cope with his increasing workload, while handling a hormonal woman who feels like an abject failure. And then there’s his boss, who has designs – on him! Bristol-born Linn B. Halton lives in the small village of Lydbrook, which nestles on the edge of the Forest of Dean, in the UK. She resides there with her husband and feline with 'catitude'- Mr Tiggs. Linn began writing in March 2009 and her debut novel was published in February 2011. 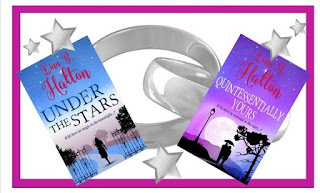 Having recently just read Under The Stars, the details were still fresh in my head and I therefore loved going back into the lives of Katherine, James and Mark who you may remember from my previous review of Under The Stars. As with the prequel to this book, the story is made up with lots of chapters coming from the perspectives of the trio and for me, we got into the story much more quickly than the first book which is a bonus! We pick up from where the story left us and boy has a lot happened! Katherine and James have welcomed a baby girl, Leyla, into their lives but are struggling with the day to day changes. Katherine's still writing her novels although they have been a bit of flop and she is feeling the pressure to come up trumps on her next book primarily as she has moved in with James into his cottage and her funds are running rather low. James on the other hand remains cool, calm and collected- or does he? He starts to over think things and has to battle with inappropriate comments from his and Mark's college Phiillippa. As he thinks things might start to calm down, Mark suggests making him a partner in the business which only adds more to his work load and strain. Meanwhile, Mark has sadly become widowed and struggling to find a new path in life, when he confides in and asks Katherine for help she obliges despite having to keep it a secret from James. The story leaves you questioning the lives of the three characters and when a reporter starts snooping around I feared that history would repeat itself. There is, as I said, a lot squeezed into this story but it is well written had threw in a few surprises too. Again, there is a lot of well researched knowledge of astronomy and astrology which comes across clear enough to understand so that you weren't swamped on a subject that is so vast. All in all, this was another good, light hearted read from Linn B Halton.